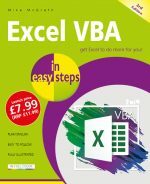 RRP £11.99 each - buy all three books together for only £23.00! 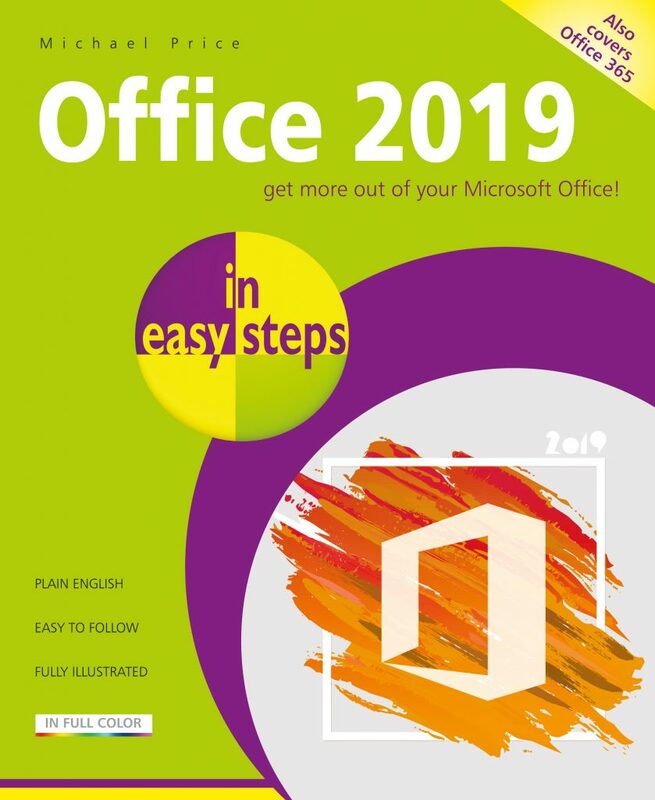 This concise guide fully demonstrates the five core Office 2019 apps (Word, Excel, PowerPoint, Access, Outlook) and then introduces other useful apps such as Project, Visio, Microsoft Forms, Microsoft Sway, and Office Online to show how to get more out of Office. 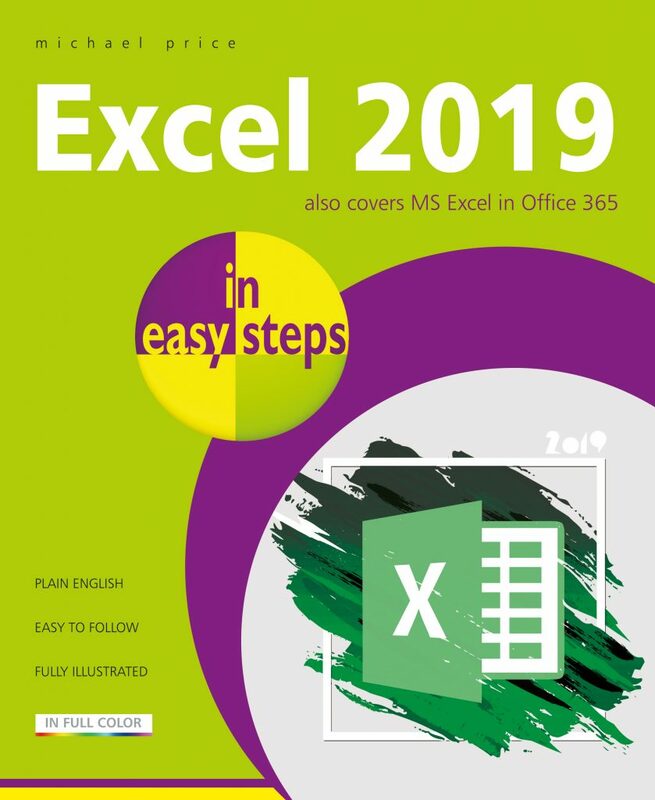 Word 2019 in easy steps will help you get up and running quickly, with this popular word processing application from Microsoft. 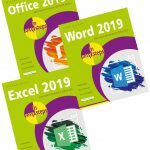 The visual nature of Word means that a clear, concise and colourful visual reference guide is an invaluable tool for both newcomers and those upgrading from older versions. 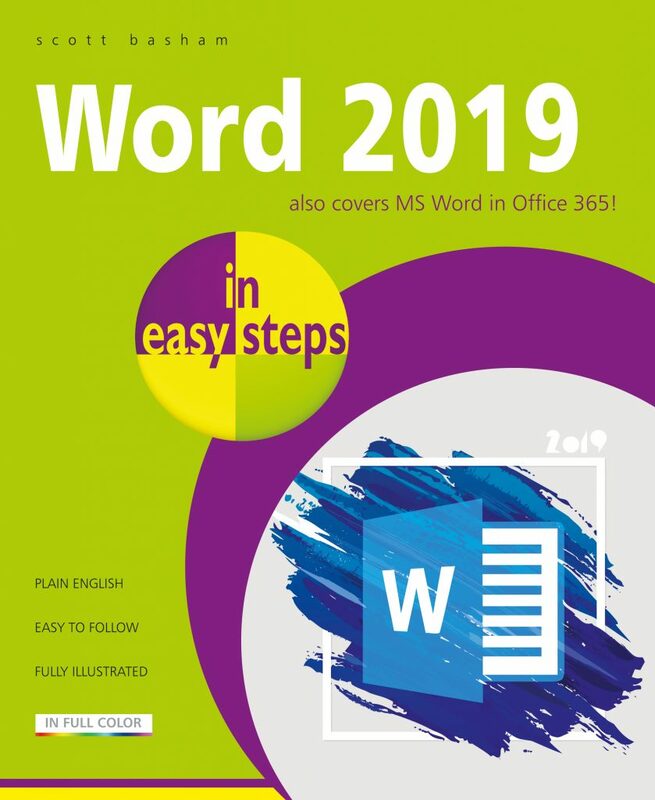 Word 2019 in easy steps meets this challenge head on, using detailed images and easy-to-follow instructions to quickly get you up to speed. Creating, structuring and adding styles to documents; text editing and formatting. Adding and editing pictures, graphics, video, hyperlinks; and faster shape formatting. Working with equations, symbols and tables. Sharing documents; collaborating in real time. Using Smart Lookup to find things on the web. Working on your documents whilst on the move and using different devices. Reviewing, tracking and protecting your documents. 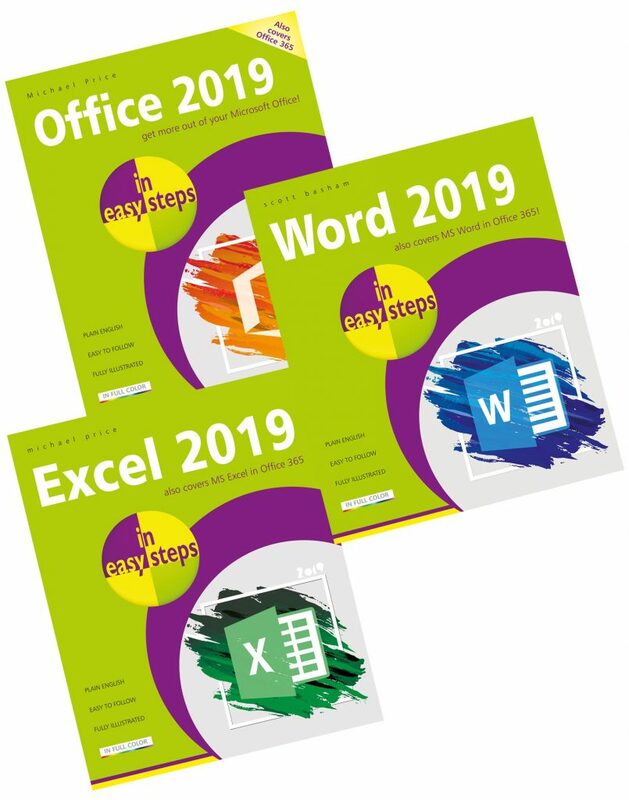 Use this guide to get more out of Microsoft Word – includes clever shortcuts and time-saving tips: a great investment!